WILLIS, TX -- On Sept. 22, 1967, Johnnie Carl Lawson, a 26-year-old Sam Houston State University sophomore from Willis, died in Vietnam. Saturday morning, the swirling gray clouds did not waver the spirit of the men and women who gathered in memory of Lawson and his fellow veterans resting with him at Willis Cemetery. The American Legion Auxiliary Post No. 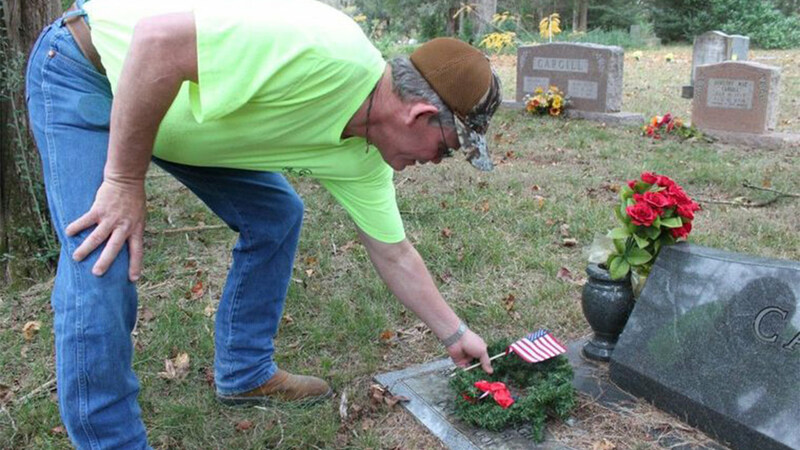 618 members usually visit the cemetery twice a year, but this year, for the first time, members came to celebrate Christmas with 300 handmade wreaths for the fallen. Before decorating the headstones of the veterans, the members gathered at the Post and acknowledged the sacrifice of those killed in action.